Having little previous knowledge of this incredible land, I took to research reading anything and everything I could get my hands on. This, in turn, triggered yet another reaction, one for which I will be grateful for the rest of my life – to visit India and see for myself all the extraordinary things I have read about. I was amazed by what I discovered. There's nothing in the world that excites me more in life than yoga, well, except for maybe traveling. Once you combine those two, you get a truly once-in-a-lifetime spiritual journey nothing can compare to. Although I am no yogi, practicing yoga for only about a year, I immediately fell head over heels in love and adopted the entire concept of yoga that teaches us to be one with our body, mind, and soul. It has been an amazing discovery and a life-altering event. My enthusiasm for yoga also sparked a deep curiosity for the birthplace of yoga – India. To share my experience and give you insight into why India has been so great for a yoga enthusiast such as myself, here are the five best sights in India you simply must see on your yoga mat. Situated at the foot of the Garhwal Himalayas, Rishikesh is considered one of the most spiritual cities in India. The city is a major pilgrimage site for people all across India, due to its proximity to one of four char dham Hindu pilgrimage sites – Haridwar. At the same time, it should also be the first stop on your Rishikesh exploration, where you can step into the cool Ganges River for a cleansing of the spirit. However, your main focus should shift to Swarg Ashram on the left bank of the river, where your real yoga adventure begins. Besides being one of the oldest yoga ashrams in India, it is also perfect to seek out a spot for solace and meditation. The entire ashram sits on a secluded part of the bank, surrounded by gorgeous natural landscapes, where all you have to do to feel the energy of this place is to close your eyes and concentrate on the even flow of the river. Make sure to prepare for some trekking, as well, since the Neelkantha Mahadev Temple is located directly above the ashram, at the place where it is believed Lord Shiva drank the "halāhala" venom to obtain the elixir of life. Alternatively, I suggest visiting the Neer Garh waterfalls. Only a 20-minute hike from Lakshman Jhula, the amazing natural marvel is a perfect spot for some relaxing yoga poses and a cool dip in the ponds afterward. An important thing to keep in mind is that Rishikesh is an almost exclusively vegetarian area with alcohol also strictly prohibited, due to the holiness of the entire area. Nestled in the Kangra Valley, Dharamshala is a fragrant and picturesque city, colored by cedar trees and snow-capped peaks. Because it Tibetan refugees have made it their home, including the 14th Dalai Lama, Dharamshala has attracted an increasing number of tourists in recent years. However, for me, it was a place where I wandered the wilderness in search of great spots to do yoga, and contemplated on the natural beauty and magnificence of its glorious landscape. 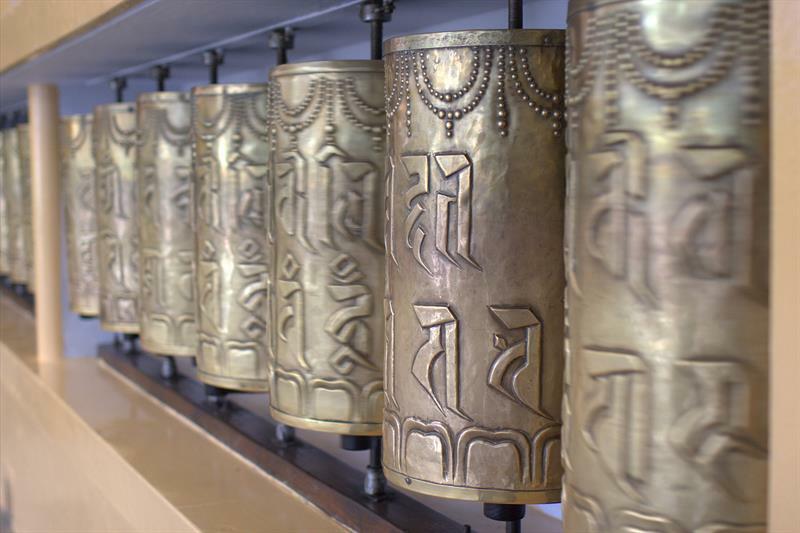 Take your time when coming to Dharamshala, because McLeod Ganj is a real yoga getaway. Prepare for some serious hiking, because the elevation is almost 3000 meters, but it's well worth it. The vista is awe-inspiring, and your gaze can stretch the entire length of the Kangra Valley and Dharamshala below. If climbing isn't your style, you can visit Dal Lake and have a picnic. Dharamshala is also historic town, and Namgyal Monastery, Masrur temples, and the exhibitions at Kangra Museum, are ideal places to learn about Indian history and cultural heritage. At the other side of North India sits Darjeeling – the tastiest town on my journey in India. Ever since I started practicing yoga, an essential part of my routine has been the cup of tea I have after every session, and Darjeeling produces the best tea leaves in India, if not the world. There is simply no way I can describe it, you just have to try it for yourself when you visit the Happy Valley Tea Estate. Darjeeling has a strong Buddhist atmosphere around it, and if you're curious about it be sure to visit Observatory Hill at the Mahakal Mandir temple, as well as the Japanese Peace Pagoda. If you are looking to get a death-defying railway experience, definitely try out is the Darjeeling Himalayan World Heritage Railway, better known as the "Toy Train". Although has a cute name, the train runs on a narrow rail on its way Jalpaiguri, which was a really scary experience. 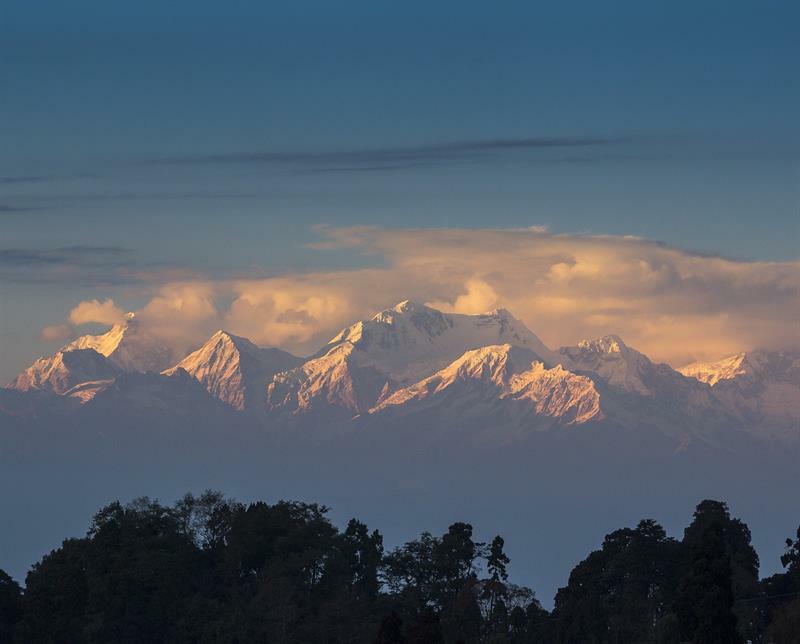 Darjeeling is also a perfect sunset setting for any yoga fanatic. Packed with some freshly brewed tea, I picked up passing through tea plantations, I made my way to Tiger Hill. Rolling up your mat there is like doing yoga with the top of the world in front of you since the view stretches all the way to Mt. Everest. Another great site worth exploring is the Neora Valley National Park, which has the largest populations of Red Pandas in India, although I was unlucky and didn't see a single one. A whole different story awaits you when you venture to the South of India, and the bustling cosmopolitan town of Bangalore. Since the prices here are a bit higher than in the North, I suggest you find a place to share your accommodation. Bangalore might not seem like an obvious choice to do yoga, but behind the loud and busy streets they have the best yoga centers I have encountered throughout my trip. The Shwaasa Yoga and Srimoyi Yoga centers are at the top of my list, because I was taught by two amazing yogis, and met some great people, who are almost as passionate about yoga as I am. However, once you step onto the streets, you will be amazed by the sights, smells and sounds of a real India. As you are probably unfamiliar with the city, make sure to book a cheap cab online. Once you do, you can visit one of the many temples, and marvel at the intricate design of both old temples, like the Venkataramana swamy and the ChennaKeshava temple, but also recent ones like the Shiva temple, which is open throughout the day. 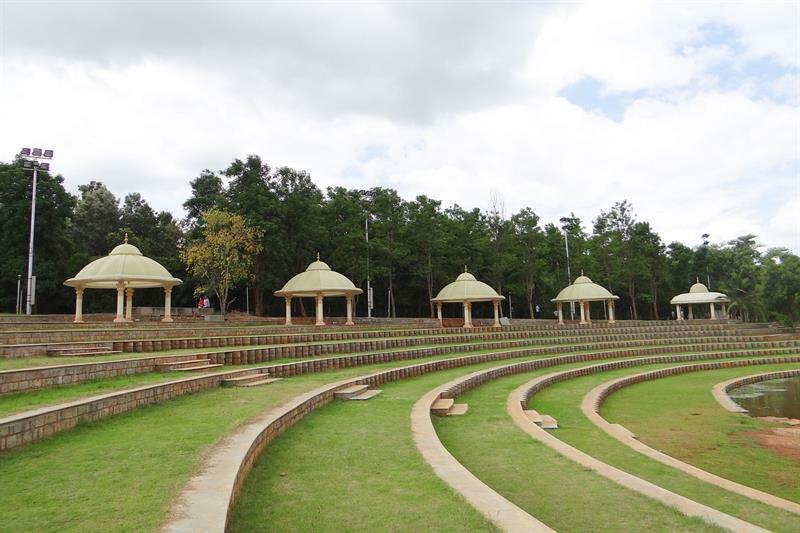 Bangalore is also the IT hub of India, and during the weekends most working people visit the surrounding natural destinations to relax and unwind. If you are more of a java junkie, be sure to visit the Chikmagalur coffee forest, where the finest coffee in India is grown. Another great getaway near Bangalore is Coorg, where you will can try out some amazing cuisine, as you marvel at the Mallalli Falls, and walk through the secluded wilderness and orange groves. Keep in mind it is a six-hour journey to these two locations, which are close to each other, so make sure you make a day trip out of it. 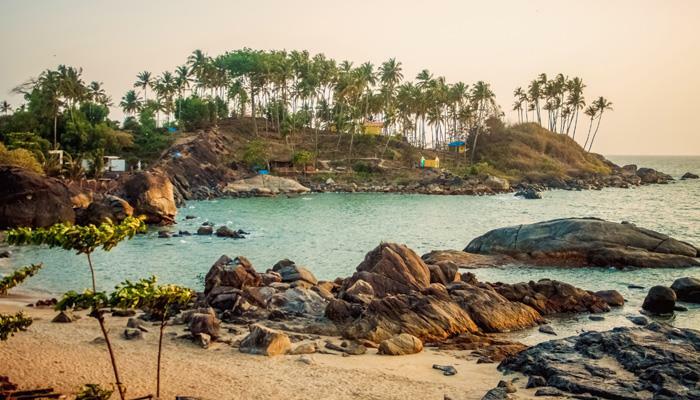 Going to the beach makes for a sensible next destination, especially if you know how to reach Goa from Bangalore. Goa, and especially Patnem Beach, where you can enjoy all the splendor of practicing yoga on the stunning Indian Ocean coastline. Although it's a tourist magnet, the tiny state of Goa has over 50 beaches, many of which are secluded sandy beaches. The warm waters of the Indian Ocean are also great for swimming throughout the year, so make sure you bring your bathing suit along with your yoga mat. Unlike most of India, this part of the country was colonized by Portugal, which is best noticed in the spicy and delicious Goan cuisine. If your journey takes you to Vasco De Gama, make sure to try visvan, a traditional Kingfish delicacy. Spend a couple of days there, and make sure to visit the most interesting sites, like the Japanese Garden or the enormous Naval Aviation Museum. Finally, my best piece of advice when traveling to India is to expect the unexpected. Open all your chakras to its people and the beauty in the energy of everything around you. It may be overwhelming at times, but after all you can always choose to roll out your mat, take the lotus position and get your energy centers in balance. There is spirituality in every aspect of life in India, you just need to be prepared to find it. During my travels, I learned that India is a country of smiles, colors, sounds, and scents, and is like life itself – it is all about what you bring to it. If you do, you can expect to enjoy a thrill of a lifetime on your journey to Nirvana. Namaste India – I bow to the divine in you!